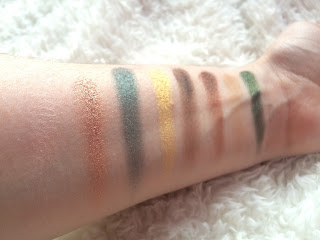 Danni Laura: Makeup Revolution Mint Chocolate Eyeshadow Palette. Makeup Revolution Mint Chocolate Eyeshadow Palette. When my boyfriend's mum asked me what I wanted for christmas, I knew the answer had to be an eyeshadow palette. But which one? I didn't want to ask for something that was going to break the bank so Makeup Revolution is always a go to, especially after falling in love with their shadows through the Soph palette. Their chocolate bar palettes were obviously started as dupes for the Too Faced chocolate bar palettes but now outnumber the originals. I definitely prefer the packaging of Too Faced but Makeup Revolution wins for the variety. 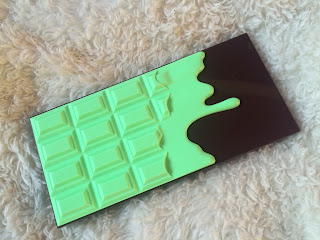 I almost asked for the newly released Chocolate Orange palette but in the end I had to go for the Mint Chocolate palette. 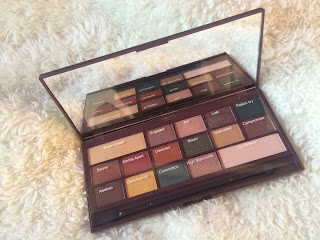 I love the shade range in this palette and the shadows themselves are highly pigmented. There is a little fall out but nothing overwhelming. I just wish the shade names were actually on the packaging instead of on a clear sheet that I'm obviously going to lose at some point in the near future! It includes a big mirror (bigger than the ones in the Too Faced versions) so this would be a good palette to travel with. 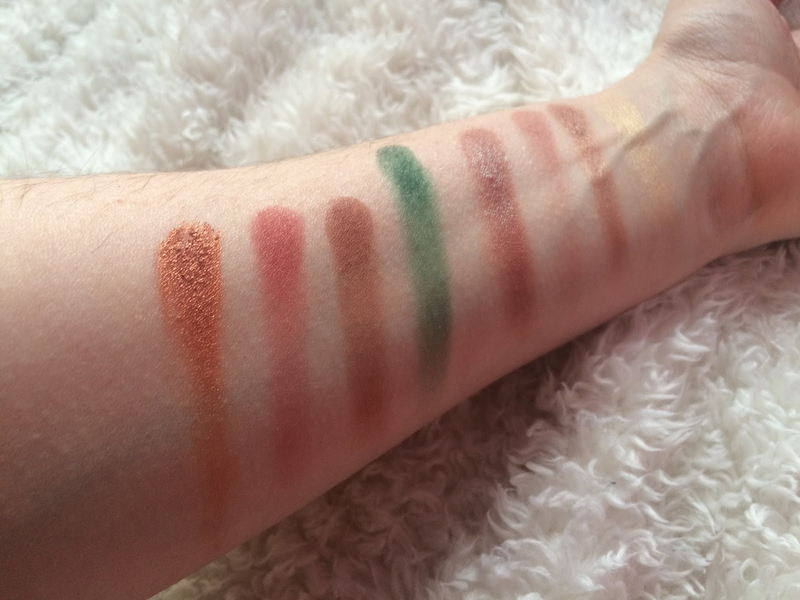 These swatches are just one swipe, no dipping back in to built it up here! The shimmers are the real star of the show for me. Distorted and Commotion are my favourite shades. (Can I just take a moment to express my disappointed that the shade names have nothing to do with mint or chocolate?!) 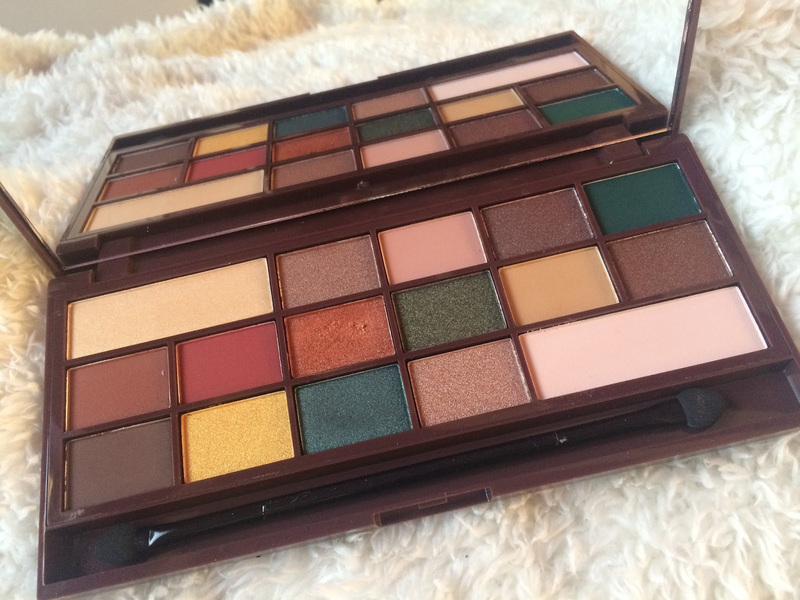 This is easily going to become one of my most used palettes for this year. The Mint Chocolate palette is available at the TAM beauty website here and it only costs £8.99. Have you tried any of these palettes? Which chocolate palette is your favourite?